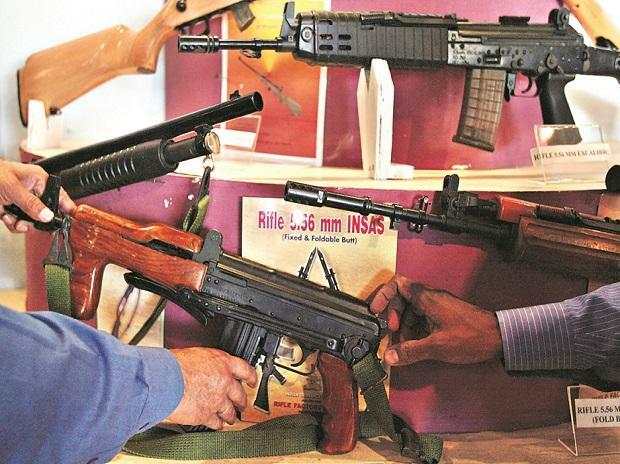 As tensions between India and Pakistan rage on after two rounds of aerial skirmishes, the Indian armed forces have placed additional requisitions with the Ordnance Factory Board (OFB) for specific items. He was speaking on the sidelines of an event organised by the CII in Kolkata. Asked if the demand came from the land forces, Kumar said, “This time, it was an aerial dogfight.” However, he declined to elucidate further. The OFB is also reviving manufacturing of anti-aircraft guns at one of its factories in West Bengal. “Now, the demand for such equipment, from India as well as abroad, has come up,” Kumar said. OFB is also in discussions with other countries to manufacture and supply ordnance and equipment for them. The Board had been producing anti-aircraft guns since 1962 and had upgraded its capability to 12.7 mm air defence guns in 1999. However, the demand for such equipment fell and production lines went idle. The development came in just after the Indian Army placed orders for 114 long-range Dhanush artillery guns built and developed by the OFB. Kumar expects that the demand for Dhanush, a modern 155 mm modern artillery gun, which has 81 per cent localisation, will run into four digits from its current level based on the positive response OFB has received from the Indian Army. The current order size for Dhanush is around Rs 1,000 crore. This series of developments follows a terror attack in Jammu and Kashmir, where 41 CRPF personnel were martyred, leading India to launch air-strikes on terror camps. Pakistan retaliated with its air force the very next day and in the ensuing dogfight, an Indian pilot whose jet was downed was captured by Pakistan. The pilot was later released in good faith. Currently laden with an order book of about Rs 50,000 crore, Kumar said more products “are on the horizon”, which offers huge scope for the private manufacturing sector to bid for defence production contracts. Apart from material procurement and outsourcing of various components, OFB is also in talks with various technology companies to establish a better grip in the field of data analytics. Headquartered in Kolkata, OFB functions under the defence ministry and is a conglomerate of 41 factories, nine training institutes, three regional marketing centres and four regional controllers of safety. Apart from supplies to Indian armed forces, OFB also meets the needs of Central Paramilitary Forces and the police in respect of arms, ammunition, clothing, Bullet Proof Vehicles, and Mine Protected Vehicles.